I have been lucky enough to have been placed at the Indonesian Legal Resource Centre (ILRC) for four weeks. During my time here I have been exposed to a myriad of experiences that were incredible for an Australian law student. I was thrown into the complex and fascinating Indonesian legal system as an intern with very understanding. It was daunting at first, trying to keep up with their differing systems and the cultural differences in the workplace, but I once I slowly wrapped my head around things, I had a great time. I attended criminal court hearings, participated in an international legal project with Advocats San Frontiers, travelled to Yogyakarta to meet with rural communities and attended regular meetings and legal awareness functions. The team at ILRC are a small team, but very focused and full of wisdom and experience. 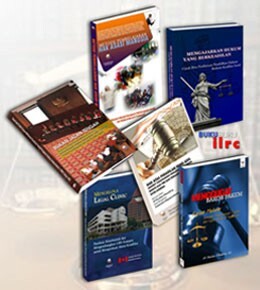 With a longstanding legal background and impressive legal practice history, the lawyers have a level of understanding and depth about most of Indonesia’s legal issues that provide the perfect environment for a student to learn in. The social justice passion is strong at ILRC, and advocacy is second nature. Even if you’re commercial or corporate minded, the experience at ILRC is well worth it, as it involves so many unusual and thought provoking aspects for a western student. In the first week, I was given a research task to prepare for a project that ILRC was beginning, with Advocats San Frontiers (ASF) and LBH (Legal Aid). I was given a little direction, and then given total trust to work independently on my research. I was provided with plenty of resources and help was available if I needed it. A lot of the resources were actually studies penned by the lawyers at the office, so there was firsthand knowledge and experience straight from the source. My supervisor took me to LBH Jakarta and introduced me to her former colleagues and friends, and I met some of the lawyers I would be working with on the project. While at LBH Jakarta, the lawyers informed me that there was an group of protestors that had been regularly demonstrating for the past eleven years that had planned a protest for that day. My supervisor encouraged me to observe and witness the event, which involved victims of police and military brutality and corruption. It was shattering to meet the people and talk to them about their experience, and understand the depth of legal support for the people. In the second week, we began the project, which was to develop a public perception survey on paralegals in Indonesia. The idea behind the survey was to assess the effectiveness and improve the legal education of paralegals to be better focused on the needs to the communities. We met with the international lawyers from Belgium who represented ASF in the project, and who would be joining us for two weeks to develop the survey. I was given the platform and encouraged to participate in the project, my opinions were valued and my supervisor would always ask if I had anything to add, which was very liberating. I felt respected and useful, and thoroughly enjoyed working with the team. With all of us from different cultural backgrounds; Australia, Belgium and Indonesia, we each had a different perspective that was viewed as an asset. During the second week, I also asked if I could join one of the LBH Jakarta lawyer’s hearings, which my supervisor suggested. It was a fascinating experience, and I was so impressed with the lawyers and their ability to not only be legally sharp and efficient, but to be human and treat their clients with the highest respect and dignity. It was very inspiring. The third week of my internship involved a trip to Yogyakarta to visit LBH Yogyakarta and their paralegals, as well as the Islamic University of Indonesia. We began by meeting the Yogyakarta offshoot of LBH, and they explained their current projects and paralegal program, which they described as successful. We were taken up to the remote Watu Kodok community, which had recently prevented an investor from stealing their land with the help of paralegals. The community was in a rural area, with many of the people in the village working as fishermen; relying on the land and sea for their survival. It was such an awe-inspiring experience. The impact that legal education had had was so significant. People weren’t being bullied or helpless about a situation where they had rights, they took a stand with the knowledge that they could. It certainly made an impact for me, and the way I view my legal education. Lawyers are so important. We spent the last week wrapping up the survey project and perfecting the questionnaire we developed. In my experience, the Indonesian workplace is very relaxed, but once work begins, they work extremely hard.You may have one or two slow days, but when the work kicks in, the standard is very high and effective. Most of the lawyers that I’ve met so far seem to be really socially aware and passionate about human rights. They dedicate so much of their time and effort in working to change people’s lives every day, and receive very little in return. I often ask why they choose to work for LBH or an NGO, and their answers are always the same: they felt the need to help people and live a more fulfilling life giving back to their communities. It’s the same from Jakarta to Yogyakarta and I imagine it’s a sentiment echoed with most lawyers. It’s incredibly inspiring. I would recommend this placement to any student looking to broaden their perspective, understand a different culture in every aspect including legal, and to develop a more rounded view of legal practice. There are challenges, whether it be language or expectations, but with the right environment and attitude, you can learn a life time’s worth of knowledge at ILRC.